In the previous article I wrote on how to register a Fastly account and install & configure Fastly module for Magento 2 in order to improve your store performance. 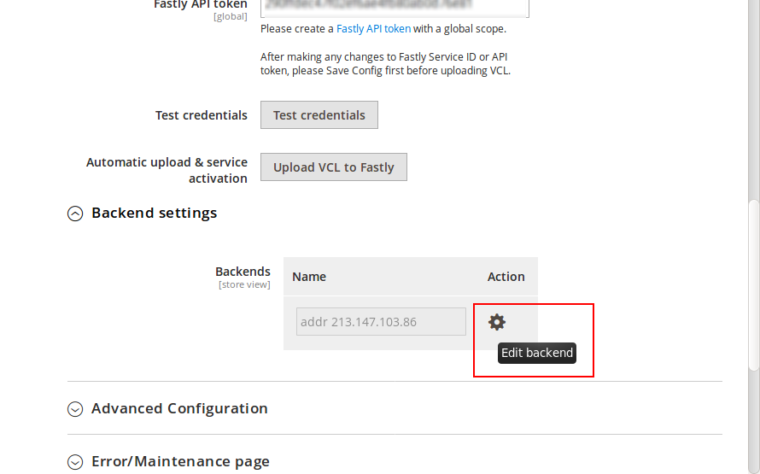 In this article I’m going to talk about how to fine tune Fastly’s service performance by configuring Origin shielding and timeout settings. Origin shielding is Fastly’s service feature which reduces the load on your origin server by routing all requests to a specfic Point of Presence (POP) which you have designated as a shield node to your origin. With shielding enabled, when the first request for content arrives at one of the POP’s, for e.g. POP A, POP A doesn’t have that content cached. The request is passed to the Shield POP which also doesn’t have the content cached and passes request to the customers Origin server to fetch the content and store it in cache. The cached content is then passed to the POP A and served to the user. Now, when another request arrives at POP B instead of POP A, POP B will pass request to the Shield POP, and since the Shield POP already has a cached copy from the first request, no future requests for the content would be passed along to the customer’s origin server until the shield POP’s cached copy of it expires. A backend is an address (IP or domain) from which Fastly pulls content. Backend timeouts define how long will Fastly wait for backend operations to complete. There you will see a list of backends. Click on the cog icon next to the backend for which you want to configure Shielding. For the Shield value you should select Datacenter close to your backend. 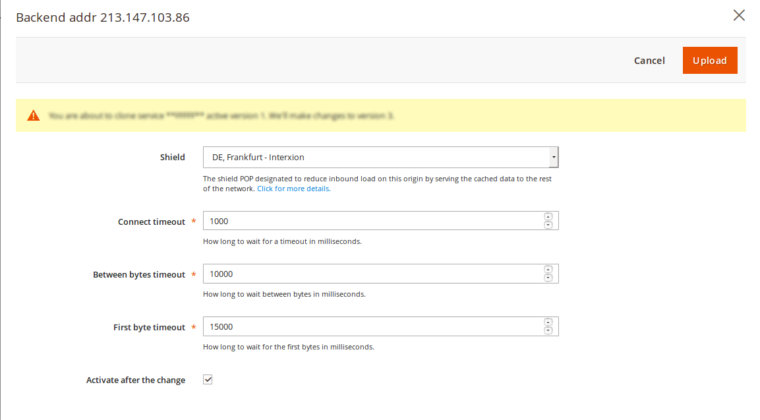 As for backend timeout settings, it’s best to leave default values or set them according to your needs. Press the Upload button in the upper right corner to apply your changes. That’s it, you have successfully fine tuned your Fastly service. Hrvoje is a Backend Developer with love for the code and old cars.